On August 5, 2013, I received an e-mail from a graduate student named Robert DePalma. I had never met DePalma, but we had corresponded on paleontological matters for years, ever since he had read a novel I’d written that centered on the discovery of a fossilized Tyrannosaurus rex killed by the KT impact. “I have made an incredible and unprecedented discovery,” he wrote me, from a truck stop in Bowman, North Dakota. “It is extremely confidential and only three others know of it at the moment, all of them close colleagues.” He went on, “It is far more unique and far rarer than any simple dinosaur discovery. I would prefer not outlining the details via e-mail, if possible.” He gave me his cell-phone number and a time to call. See a second-by-second visualization of the event here. And for more on the threat that asteroids still present, and how we can protect the Earth from a repeat of that mass extinction, visit the B-612 Foundation. As we extricate heads from the sand, we might spare a thought for a scientific forebearer of DePalma’s, Edward Drinker Cope; he died on this date in 1897. A paleontologist and comparative anatomist (as well as a noted herpetologist and ichthyologist), Cope led many natural history surveys in the American West for the precursors of the U.S. Geological Survey, making important finds on his trips, including dinosaur discoveries. Judging by the popularity of the Jurassic Park franchise—five feature films, with a sixth blockbuster scheduled for 2021, three “Lego” Jurassic Park shorts, various theme-park attractions, some forty-six theme-related video games, even a Jurassic Park Crunch Yogurt—dinosaurs (once the province of paleontologists and children) have had a stranglehold on our collective imagination for more than a quarter century. Michael Crichton’s 1990 novel sold more than nine million copies; three years later, the first mega-film, directed by Steven Spielberg, became the second highest-grossing film of all time, earning over $1 billion worldwide. Though less enormous, less voracious, and lacking dramatic soundtracks to pave their entrances and exits, formidable flesh-and-blood, non-animatronic prehistorics do actually walk among us. Biologically, Crocodilia (alligators, crocodiles, caimans, gharials) are closer to birds, dinosaurs to snakes and lizards, but they share a common ancestry. Fossils reveal that back in the day, some alligators grew to nearly forty feet in length, weighing in at 8.5 tons. Simply put, Crocodilia are the closest living examples of the Jurassic’s ancient denizens. In the case of their alligator cousins, it wasn’t just suddenly. Throughout the American south, they’ve always been pretty much unavoidable. On the big screen, our relationship to Crichton’s creatures is set and predictable. We enjoy the terror they inspire from the dark safety of our upholstered seats. Alligators, in cinema, have always been as dependable in their villainy as Nazis. What better way to dispose of pesky early Christians or enemy Russian spies? As we ruminate on the reptilian, we might spare a thought for Warder Clyde Allee; he died on this date in 1955. A zoologist and ecologist who researched the social behavior, aggregations, and distribution of both land and sea animals, he discovered that cooperation is both beneficial and essential in nature. The “Allee effect,” as it came to be known, describes the positive correlation between population density and individual fitness of a population or species. While his findings are in tension with those of another another ecologist, George C. Williams who stressed the importance of individual selection, Allee’s emphasis on groups and cooperation remains influential. This case history was described in the English translation of the medical treatise, The Touchstone of Complexions (1576) by the Dutch physician, Levinus Lemnius, as an example of ‘melancholicke’ fantasy. Instead of assuming the man was possessed by a malevolent spirit or demon (a possible diagnosis at this time), that he was a ‘lunatic’ and beyond treatment, or dismissing his delusion to his face, the sixteenth-century physician in the story entered into the world of the ‘phantasie’ to try and help his patient’s obvious distress. We very rarely read histories of incidents from this period where physicians are concerned for the emotional and mental wellbeing of their patients to this degree. Usually the tendency has been to emphasize the ‘barbarous and debilitating’ treatments of early modern medicine – its bloodletting, purging, and surgery without anaesthetic, or to highlight the moralizing religious doctrine behind treatments of illnesses of the mind or ‘passions’. Yet, here was a doctor trying an imaginative solution to a problem he believed stemmed from an imbalance of the humour ‘melancholy’ in his patient’s body…. As we make it better, we might send revolutionary birthday greetings to Edward Donnall “Don” Thomas; he was born on this date in 1920. A physician and medical researcher, Thomas shared (with Joseph E. Murray) the 1990 Nobel Prize for Physiology or Medicine for his work in transplanting bone marrow from one person to another – an achievement related to the cure of patients with acute leukemia and other blood cancers or blood diseases. Although this prize usually goes to scientists doing basic research with test tubes, Thomas was a doctor doing hands-on clinical research with patients. In 2015, the fashion industry churned out 100 billion articles of clothing, doubling production from 2000, far outpacing global population growth. In that same period, we’ve stopped treating our clothes as durable, long-term purchases. The Ellen MacArthur Foundation has found that clothing utilization, or how often we wear our clothes, has dropped by 36% over the past decade and a half, and many of us wear clothes only 7 to 10 times before it ends up in a landfill. Studies show that we only really wear 20% of our overflowing closets. For the past few years, we’ve pointed the finger at fast-fashion brands like H&M, Zara, and Forever21, saying that they are responsible for this culture of overconsumption. But that’s not entirely fair. The vast majority of brands in the $1.3 billion [sic- it’s $trillion] fashion industry–whether that’s Louis Vuitton or Levi’s–measure growth in terms of increasing production every year. This means not just convincing new customers to buy products, but selling more and more to your existing customers. Right now, apparel companies make 53 million tons of clothes into the world annually. If the industry keeps up its exponential pace of growth, it is expected to reach 160 million tons by 2050…. The apparel industry is not, of course, unaware of all of this. For a look at how they are responding, see Ad Age‘s “How Sustainability in Fashion Went From The Margins To The Mainstream“… and draw your own conclusion as to efficacy. As we wean ourselves from whopping-great wardrobes, we might spare a thought for a man who contributed t our ability to measure our progress (or lack thereof) in addressing climate change: George James Symons; he died on this date in 1900. A British meteorologist who was obsessed with increasing the accuracy of measurement, he devoted his career to improving meteorological records by raising measurement standards for accuracy and uniformity, and broadening the coverage (with more reporting stations, increasing their number from just 168 at the start of his career to 3,500 at the time of his death). The Royal Meteorological Society (to which he was admitted at age 17) established a gold medal in his memory, awarded for services to meteorological science. Imagine a black box which, when you pressed a button, would generate a scientific hypothesis. 50% of its hypotheses are false; 50% are true hypotheses as game-changing and elegant as relativity. Even despite the error rate, it’s easy to see this box would quickly surpass space capsules, da Vinci paintings, and printer ink cartridges to become the most valuable object in the world. Scientific progress on demand, and all you have to do is test some stuff to see if it’s true? I don’t want to devalue experimentalists. They do great work. But it’s appropriate that Einstein is more famous than Eddington. If you took away Eddington, someone else would have tested relativity; the bottleneck is in Einsteins. Einstein-in-a-box at the cost of requiring two Eddingtons per insight is a heck of a deal. What if the box had only a 10% success rate? A 1% success rate? My guess is: still most valuable object in the world. Even an 0.1% success rate seems pretty good, considering (what if we ask the box for cancer cures, then test them all on lab rats and volunteers?) You have to go pretty low before the box stops being great. As we honor insight where we find it, we might send carefully-addressed birthday greetings to Infante Henrique of Portugal, Duke of Viseu, better known as Prince Henry the Navigator; he was born on this date in 1394. 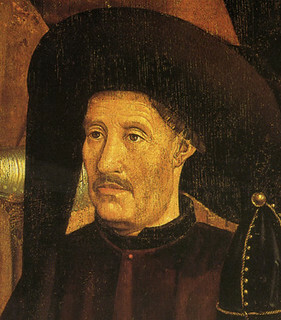 A central figure in 15th-century Portuguese politics and in the earliest days of the Portuguese Empire, Henry encouraged Portugal’s expeditions (and colonial conquests) in Africa– and thus is regarded as the main initiator (as a product both of Portugal’s expeditions and of those that they encouraged by example) of what became known as the Age of Discoveries. In the near future, we will be in possession of genetic engineering technology which allows us to move genes precisely and massively from one species to another. Careless or commercially driven use of this technology could make the concept of species meaningless, mixing up populations and mating systems so that much of the individuality of species would be lost. Cultural evolution gave us the power to do this. To preserve our wildlife as nature evolved it, the machinery of biological evolution must be protected from the homogenizing effects of cultural evolution. As we agonize over the anthropocene, we might recall that it was on this date in 1968 that James Watson’s The Double Helix was published. A memoir, it describes– with manifest hubris– “perhaps the most famous event in biology since Darwin’s book,” the 1953 discovery, published by Watson and Francis Crick, of the now-famous double helix structure of the DNA molecule. Crick, however, viewed Watson’s book as “far too much gossip,” and believed it gave short shrift to Rosalind Franklin’s vital contribution via clues from her X-ray crystallography results. It was originally slated to be published by Harvard University Press, Watson’s home university, Harvard dropped the arrangement after protests from Francis Crick and Maurice Wilkins (their supervisor, who shared the Nobel Prize); it was published instead by Atheneum in the United States and Weidenfeld & Nicolson in the UK. In any case, the book opens a window into the competitiveness, struggles, doubts, and human foibles that were baked into this landmark in science. As we tempt Terpsichore, we might spare a thought for Glenn Theodore Seaborg; he died o this date in 1999. A chemist, his discovery and investigation of plutonium and nine other transuranium elements was part of the effort during World War II to develop an atomic bomb; it earned him a share of the 1951 Nobel Prize in Chemistry. 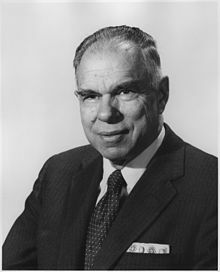 Seaborg went on to serve as Chancellor of the University of California, as Chair of the Atomic Energy Commission, and as an advisor to 10 presidents– from Harry S. Truman to Bill Clinton– on nuclear policy and science education. Element 106 (the last of the ten that Seaborg discovered), was named seaborgium in his honor. Like so many of the scientists who worked on the Manhattan Project, Seaborg became a campaigner for arms control. He was a signatory to the Franck Report and contributed to the Limited Test Ban Treaty, the Nuclear Non-Proliferation Treaty and the Comprehensive Test Ban Treaty.